Posted by Yilan in Bosnia and Herzegovina. 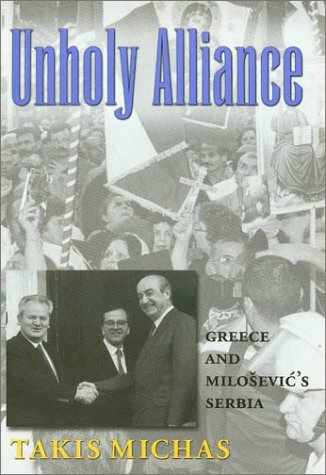 In the present article, I republish the chapter on Bosnia and Herzegovina. The country continued to be increasingly divided along ethnic lines. Progress in prosecution of war crimes cases committed during the 1992-1995 war remained slow. The authorities continued to fail to address the situation of women who were raped during the war by not providing them with adequate access to justice and reparations. Relations between members of the three main ethnic groups – Serbs, Croats and Bosnian Muslims (Bosniaks) – worsened dramatically. Some senior politicians used increasingly nationalistic rhetoric. In some instances this took the form of public, verbal attacks on state institutions, including on the independence of the justice system. Some politician made statements denying certain war crimes had ever taken place, even though the courts had passed verdicts on them, and convicted those responsible. groups and was met with public outcry. The international community continued to maintain its presence in Bosnia and Herzegovina (BiH). In March Austrian diplomat Valentin Inzko replaced Miroslav Lajčak as the High Representative – head of a civilian peace implementation agency created by the 1995 Dayton Peace Agreement. The High Representative also acted as the EU Special Representative. The EU continued to maintain its peacekeeping force with approximately 2,000 troops as well as a police mission with approximately 150 international staff. In October, BiH was elected as a non-permanent member of the UN Security Council for the 2010 – 2011 term. At the end of 2009, seven war crimes cases concerning BiH were pending before the UN International Criminal Tribunal for the former Yugoslavia (Tribunal). In addition, three cases were on appeal. The Tribunal started the trial of Radovan Karadžić in October. He was charged with two counts of genocide. The first was related to crimes committed between 31 March and 31 December 1992 in a number of municipalities in BiH, which included killings, torture and forcible transfer or deportation which aimed at the destruction of Bosnian Croats and Bosnian Muslims as ethnic or religious groups. 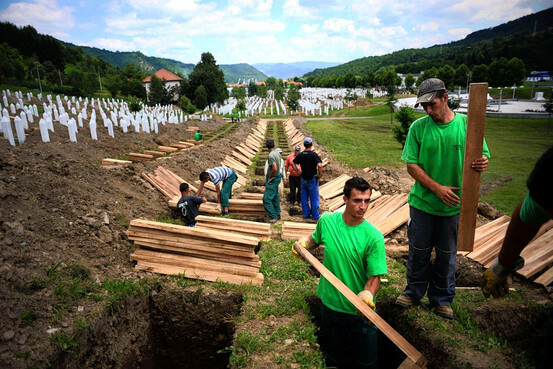 The second covered the killing of more than 7,000 men and boys in July 1995 in Srebrenica. 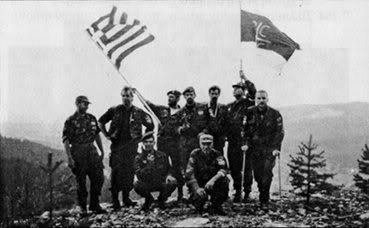 There were five counts of crimes against humanity, including persecution, extermination, murder and deportation of non-Serbs. The indictment also contained four charges of violations of the laws or customs of war such as hostage-taking and spreading terror among the civilian population. Radovan Karadžić boycotted the proceedings from the beginning by repeatedly refusing to appear in the courtroom. In November, the presiding judge appointed a lawyer to represent him in his absence. The trial was adjourned until March 2010 to enable the court-appointed lawyer to prepare for the case. In July, the Trial Chamber of the Tribunal convicted Milan and Sredoje Lukić of war crimes and crimes against humanity, including the burning to death of at least 119 Bosnian Muslims in Višegrad in 1992. The charges had included murder, persecution, extermination and torture of the civilian population in the Višegrad area during the 1992-1995 war, and Milan and Sredoje Lukić were sentenced to life and 30 years´ imprisonment respectively. However, despite extensive evidence already collected by the Tribunal, the charges related to war crimes of sexual violence had not been included in the indictment. Since its creation in 1993, the Tribunal has prosecuted only 18 cases including charges of war crimes of sexual violence related to the war in BiH. Witness support and protection measures in all courts in BiH were inadequate. This meant that in some cases victims, including survivors of war crimes of sexual violence, were not able to access justice. War crimes prosecutions continued before the War Crimes Chamber (WCC) of the State Court of BiH. By the end of the year, the WCC had delivered 39 final verdicts since its creation in 2005. There were 57 cases pending at trial and appeals panel stage. Some war crimes trials of low-level perpetrators were also held in the local courts in both of the semiautonomous entities of the country – the Federation of BiH (FBiH) and Republika Srpska (RS) – as well as in Brčko District. However, the capacity of the courts and prosecutors of FBiH and RS to prosecute war crimes cases remained inadequate. In December 2008, the authorities had adopted a State Strategy for the Work on War Crimes in an attempt to address all outstanding war crimes cases. In the absence of a centralized case file database, there had been varying estimates of between 6,000 and 16,000 war crimes case files open at different stages of prosecution registered in all jurisdictions. However, implementation of the strategy in 2009 was extremely slow and obstructed by a lack of political will. Verbal attacks on the justice system and denial of war crimes by some senior politicians in the country further undermined the country´s efforts to prosecute war crimes cases. In October, the State Parliament of BiH rejected the extension of the mandate of international judges and prosecutors working in the WCC. Following the move, several human rights organizations, including Amnesty International, expressed serious concerns about whether the justice system of BiH was ready to prosecute war crimes cases in accordance with the highest international fair trial standards, without the support of these international judges and prosecutors. On 14 December 2009, the High Representative used his special powers to overrule the State Parliament’s decision and extended their mandate. The survivors of war crimes of sexual violence continued to be denied access to economic and social rights. The authorities failed to respond to the needs of those survivors and did not provide adequate reparation, which would have enabled them to rebuild their lives. Many women who were raped during the war continued to live in poverty, and were unable to find a job as they still suffered from the physical and psychological consequences of their war-time experience. Provision of psychological support for survivors was inadequate and many of the women could not access the healthcare system. They were also discriminated against in access to social benefits compared with other groups of victims of war. On 22 December 2009 the Grand Chamber of the European Court of Human Rights in Strasbourg ruled that the power-sharing provisions in the Constitution of BiH violated the right to free elections and prohibition of discrimination by not allowing members of minorities to stand for election to the State Presidency and the House of Peoples of the State Parliament. In 2006, Dervo Sejdić (Roma) and Jakob Finci (Jewish) filed a complaint to the European Court of Human Rights claiming that their right to be elected to the political bodies of BiH and the principle of prohibition of discrimination were violated by the Constitution of BiH. They were both well-known public figures and intended to run for election to the State Presidency and the House of Peoples but were prevented from doing so as the Constitution of BiH restricted the right to be elected to those bodies only to the members of the three “constitutive nations” of BiH (Bosnian Muslim, Croats and Serbs). Progress in identifying the whereabouts of victims of enforced disappearance during the 1992-1995 war remained slow and was obstructed by the lack of cooperation between the authorities of FBiH and the RS. According to different estimates, the whereabouts of between 10,000 and 12,000 people remained unknown. In addition, some 3,000 bodies which had been located and exhumed were still unidentified. Exhumations conducted by the Missing Persons Institute continued at different locations. 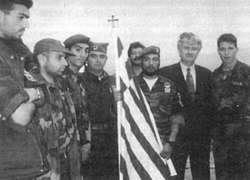 In August, the body of Colonel Avdo Palić of the Army of Bosnia and Herzegovina was identified. He had been subjected to enforced disappearance in July 1995, allegedly by members of the Bosnian Serb Army. According to media reports the body was exhumed from a mass grave in Rogatica in 2001 in RS, but it took almost eight years to identify it. The state authorities failed to create a database of missing persons and to open the Fund for Support to the Families of Missing Persons, both of which were envisaged by the Law on Missing Persons adopted in 2004. In the absence of adequate measures by the authorities to address the issue, some relatives of victims sought justice before international human rights institutions. In 2009, the Advocacy Centre – TRIAL (ACT), an NGO based in Geneva, lodged five individual communications to the UN Human Rights Committee on behalf of the relatives of victims of enforced disappearance in BiH. The NGO alleged multiple violations of human rights due to the lack of investigation, criminal prosecution, reparations and effective remedy following the disappearance of their relatives. ACT submitted an additional 16 complaints to the European Court of Human Rights on behalf of the relatives of the disappeared. In October, the Union of Associations of Families of Missing and Captured Persons of RS filed 78 cases with the European Court of Human Rights on behalf of the families of disappeared Serbs. The Union alleged that the authorities had failed to respond to their continuous enquiries about the whereabouts of their relatives despite previous rulings of the Human Rights Chamber of BiH which had obliged the authorities to do so. Fewer people returned to their pre-war places of residence in 2009 than in 2008. According to UNHCR, the UN refugee agency, as of September 2009, only 758 refugees and 216 internally displaced people had gone back to their pre-war homes. The majority of the returns occurred to places where the returnees were in the ethnic minority. Many people, including survivors of war crimes of sexual violence, remained unable to go back to their pre-war places of residence. Many of them feared for their safety as the individuals who had perpetrated war crimes against them or members of their family continued to live in their pre-war communities and often occupied positions of power. 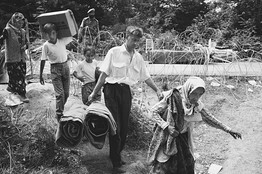 Discrimination in access to economic and social rights such as employment, health services and education continued to prevent many returnees from going back. The authorities of BiH continued to violate the rights of some individuals who had settled in BiH during or after the war and who had subsequently been granted BiH citizenship. As a result of decisions by the State Commission for the Revision of Decisions on Naturalization of Foreign Citizens, some of them lost their citizenship and deportation procedures were initiated against them. Seven people were placed in the immigration deportation centre in Lukavica awaiting deportation to their countries of origin. If deported, they would be at risk of torture or the death penalty. The authorities continued to imprison these individuals on grounds of unspecified national security. Imad al Husein remained imprisoned in the immigration deportation centre in Lukavica where he had been held since October 2008, despite the fact that no criminal charges which could justify the detention were brought against him. An appeal on the revocation of his citizenship was ongoing before the BiH judiciary and before the European Court of Human Rights. Conditions for detainees in the immigration deportation centre in Lukavica were inadequate. During the process of revocation of citizenship, people spent several months on average in detention. The facility at Lukavica was envisaged to provide temporary custody for a few weeks only, and lacked the capacity to respond to the rights and needs of persons detained for a longer period of time, such as dietary requirements during Ramadan or a room set aside for conjugal visits. In the majority of cases the authorities failed to take measures to tackle ill treatment by the police and in prisons. The existing complaint mechanism was ineffective and the number of investigations by prosecutors into allegations of ill treatment remained very low. The State Ombudsmen issued a report in September which stated that the conditions of detention across BiH were below international standards. They cited inadequate hygiene and material conditions as well as lack of access to health services for detainees. The authorities failed to address the situation in the Zenica Prison Forensic Psychiatric Annex, where patients with mental health problems lacked adequate medical assistance. Individuals convicted in the State Court continued to serve their sentences in prisons in FBiH and RS, as there was no BiH state prison. This caused discrepancies in their rights and material conditions while in detention. Amnesty International delegates visited Bosnia and Herzegovina in March, September and October.